#SOSBrutalism - A growing database that currently contains over 1000 Brutalist buildings and a platform for a large campaign to save these beloved concrete monsters. A "New and Native" Beauty: The Art and Craft of Greene & Greene - Website companion for "the most comprehensive exhibition ever undertaken on the work of Arts and Crafts legends Charles Sumner Greene and Henry Mather Greene," who "designed houses and furnishings a century ago that established a new paradigm for the art of architecture in the United States." View introductory essays and images on topics such as early career and the Blacker house. From the Huntington, in partnership with the Gamble House and USC. A+D Museum - Promotes awareness of progressive architecture and design in everyday life through exhibits, educational programs and public outreach. AC Martin Partners, Inc. - Provides architectural and engineering services in Southern California. Clients include corporations, developers, educational institutions, and government agencies. Allford Hall Monaghan Morris - International architecture firm with practice based in Clerkenwell, London, and offices in Bristol and Amsterdam. Allplans - Thousands of house plans by top designers and architects. American Bungalow - Published in the interest of preserving and restoring the modest American 20th century home, the bungalow. American Institute of Architects (AIA) - Based in Washington, D.C., the AIA has been the leading professional membership association for licensed architects, emerging professionals, and allied partners since 1857. American Institute of Architects (AIA), San Francisco Chapter - One of the largest of the AIA's nearly 300 chapters, represents more than 2,000 members in San Francisco and Marin County. Headquartered in the historic Hallidie Building-one of the world's first glass-curtain-wall-buildings, designed by Willis Polk and completed in 1917-AIA San Francisco is the Bay Area's premier destination for architecture and design. American Planning Association (APA) - A non-profit public interest and research organization representing 30,000 practicing planners, officials, and citizens involved with urban and rural planning issues. Sixty-five percent of APA's members are employed by state and local government agencies. Andrea Zittel's A-Z - An institute of investigative living promoting and releasing various prototypes, designs and ideas. Andrzej Blonski Architects - Projects include Milton Keynes Theatre and Art Gallery; Theatre Royal, Plymouth (refurbishment); British Museum Gift Shop, London; and South Ockendon Community Forum. Arch2O - Reviews and critiques architecture, urbanism, art, and design. archINFORM - The largest online-database about worldwide architects and buildings from past to present, including over 12,000 built and unrealized projects from various architects and planners. Archinet - Brings together designers from around the world to introduce new ideas from all disciplines. Also: Archnect News. Browse architects / architectural firms by category. Architect Design - Residential architecture blog. Architect of the Capitol - The Architect of the Capitol is responsible to the United States Congress for the maintenance, operation, development, and preservation of the United States Capitol Complex, which includes the Capitol, the Congressional office buildings, the Library of Congress buildings, the Supreme Court building, the U.S. Botanic Garden, the Capitol Power Plant, and other facilities. The Architects Library - Comprehensive guide to architectural and design products and services in U.S.
Architects' Journal Plus (AJ+) - Based on The Architects' Journal magazine. Provides architecture information, including real-time news, company database, building product directory, building information database, jobs in architecture and more. Architectural Digest - Conde Naste architecture publication. Architectural League of New York - Through its exhibitions, competitions, design studies, publications, and public programs the League has a national and international impact, in addition to its prominent role in New York artistic and civic life. Architecture - Here you can find an architect, understand more about architecture or learn how to become an architect, all courtesy of the Royal Institute of British Architects. Architecture and Design Society - In addition to architecture, the Society represents related design areas such as interior design, graphic design, industrial design, and product design. The Society supports the varied activities of the Department of Architecture, Art Institute of Chicago, well-known for its superlative record in organizing architectural exhibitions and publications. It prides itself on making the art of architecture accessible to a wide audience. It also seeks to conserve our architectural heritage through a permanent collection containing over 120,000 plans, drawings, models, and architectural artifacts. Architecture for Humanity - Seeks architectural solutions to humanitarian crisis and brings design services to communities in need. Architect Magazine - American Institute of Architects (AIA) supported architecture and design magazine. Architectural Record - Monthly magazine for architects and other members of the design profession. Includes design ideas, trends, news, business and professional strategies, computer-aided practice, product information, and building technology. Architecture for Humanity - Tapping a network of more than 50,000 professionals willing to lend time and expertise to help those who would not otherwise be able to afford their services, brings design, construction and development services where they are critically needed. Architecture Week - Magazine of design and building. Architizer - Publishes architectural design content, run competitions, list jobs, and hosts offline events all over the world. ArchNewsNow (ANN) - National and international news, projects, products, and events in the world of architecture and design. Arcosanti - In 1970, the Cosanti Foundation began building Arcosanti, an experimental town in the high desert of Arizona, 70 miles north of metropolitan Phoenix. When complete, Arcosanti will house 5000 people, demonstrating ways to improve urban conditions and lessen our destructive impact on the earth. Its large, compact structures and large-scale solar greenhouses will occupy only 25 acres of a 4060 acre land preserve, keeping the natural countryside in close proximity to urban dwellers. Arcosanti is designed according to the concept of arcology (architecture + ecology), developed by Italian architect Paolo Soleri. In an arcology, the built and the living interact as organs would in a highly evolved being. This means many systems work together, with efficient circulation of people and resources, multi-use buildings, and solar orientation for lighting, heating and cooling. Arcspace - An international architectural magazine featuring buildings and news items from well known contemporary architects. Weekly updates with new features, book and exhibition reviews. Art Institute of Chicago: Architecture and Design - Houses a distinguished collection of more than 130,000 architectural sketches and drawings. The collected works concentrate on designs by Chicago architects and for Chicago buildings from the 1870s to the present day. Of particular note are significant holdings of works by David Adler, Daniel Burnham and John Wellborn Root, Bruce Goff, Marion Mahony Griffin and Walter Burley Griffin, Ludwig Hilberseimer, Louis Sullivan, Ludwig Mies van der Rohe, Stanley Tigerman, Peter B. Wight, and Frank Lloyd Wright. Examples of landscape architecture, structural engineering, and industrial design are also represented. The collection also features architectural models and fragments, including a reconstruction of the Adler and Sullivan trading room from the Chicago Stock Exchange (1893-94). Arthitectural - Providing information about architecture, concept and competition, furniture design, interior design, lighting design and urban design. Architectural League of New York, The - Nurtures excellence in architecture, design, and urbanism. Stimulates thinking and debate about the critical design and building issues of our time. Arthur Erickson - Internationally celebrated Canadian architect and urban planner. Most of his buildings are modernist concrete structures designed to respond to the natural conditions of their locations, especially climate. Many buildings, such as the Museum of Anthropology in Vancouver, are inspired by the post and beam architecture of the Coastal First Nations. Erickson established an international reputation for designing innovative complexes and buildings, often to critical acclaim. Among them are the San Diego Convention Center; Napp Laboratories in Cambridge, England; the Kuwait Oil Sector Complex in Kuwait City; and Kunlun Apartment Hotel Development in Beijing. He designed the Canadian Pavilion, an inverted pyramid, at Expo 67, the world's fair in Montreal; Canada's embassy in Washington; and, with the firm of Mathers and Haldenby, the Roy Thomson Hall, Toronto's main concert hall, a circular, futuristic building that tapers to a flat top. But Mr. Erickson is perhaps best known for providing Vancouver, his hometown, with many of its architectural signatures, the most successful of which he integrated with their surrounding landscapes, avoiding ornamentation and favoring concrete (which he called "the marble of our time"). Asian Historical Architecture - A photographic survey of Asia's architectural heritage. View over 8500 photos of 531 sites in seventeen countries, with background information and virtual tours. Atlantic, The: Cities - Explores innovative ideas and pressing issues facing today's global cities and neighborhoods. Avery Architectural & Fine Arts Library, Columbia University - Collects books and periodicals in architecture, historic preservation, art history, painting, sculpture, photography, decorative arts, city planning, real estate, and archaeology. Bartlett/UCL: Faculty of the Built Environment - Architecture, construction and project management, planning, design, research. Beautiful Life: Urban Design - Information from the world of design: creative projects, unusual tech concepts, modern architecture, trendy gadgets and more. Better Block - The Better Block project was developed to show cities how a block can be revived to improve area safety, health, and economics if ordinances restricting small business and multi-modal infrastructure are removed. This site is developed to provide help for communities that wish to build their own Better Blocks complete with news, tools, and other resources they may need to revitalize neighborhoods. Bjarke Ingels Group (BIG) - A Copenhagen and New York based group of architects, designers, builders and thinkers operating within the fields of architecture, urbanism, research and development. The office is involved in a large number of projects throughout Europe, North America, Asia and the Middle East. Also see Wikipedia. BLDG BLOG - Architectural conjecture, urban speculation, landscape futures. British Committee for the Restitution of the Parthenon Marbles - Detailed information on the Parthenon (Elgin) Marbles, together with the case for their return to Athens, Greece. Builder - Beautiful house plans, home building products, home builders, and builder magazine. Building Design and Construction Magazine - News from the nonresidential building industry; listings of the industry's top 300 firms; information on special events, award programs and links to industry associations; archives of BD&C articles; and information on products and suppliers. Cal-Earth: The California Institute of Earth Art and Architecture - Cal-Earth is at the cutting edge of Earth Art and Ceramic Architecture technologies today. Founded and directed by the internationally renowned architect and author Nader Khalili in 1986, it's scope spans technical innovations published by NASA for lunar base construction, to design and development of housing for the world's homeless for the United Nations. Canadian Architect and Builder (CAB) - CAB was published between 1888 and 1908 and is the only professional architectural journal published in Canada before World War I. Beautifully filled with photographs, drawings, advertisements and valuable articles, CAB provides a wealth of information on the state of architecture and building in Canada during the late 19th and early 20th centuries. Center for Land Use Interpretation (CLUI) - Research organization engaging in research, classification, extrapolation, and exhibition of land and landscape issues. Center for Urban Policy Research (CUPR) - Internationally recognized for its research on: affordable housing, land use policy, the arts and cultural policy, development impact analysis, the costs of sprawl, transportation information systems, environmental impacts, and community economic development. Centre for Urban Design and Mental Health (UD/MH) - A start-up think tank focused on answering one question: how can we design better mental health into our cities? Changing of the Avant-Garde: Visionary Architectural Drawings from the Howard Gilman Collection - Includes some of the most famous utopian architectural drawings of the twentieth century with emphasis on radical projects from the 1960s and the 1970s. Chicago Architects Oral History Project (CAOHP) - The CAOHP was begun in 1983 under the auspices of the Art Institute of Chicago's Department of Architecture and Design to record the life experiences of architects who shaped the physical environment in Chicago and surrounding communities. Church Monuments Society - Encourage the appreciation, study and conservation of church monuments both in the UK and abroad. Chicago Architecture Biennial - Dedicated to creating an international forum on architecture and urbanism through the production of exhibitions and public programs. Seeks to convene the world's leading practitioners, theorists and commentators in the field of architecture and urbanism to explore, debate and demonstrate the significance of architecture to contemporary society. City-Data - Collects and analyzes data from a variety of government and private sources in the United States. Cities and Buildings Database - A collection of digitized images of buildings and cities drawn from across time and throughout the world, available to students, researchers and educators on the web. The collection contains over 5000 images ranging from New York to Central Asia, from African villages to the Parc de la Villette, and conceptual sketches and models of Frank Gehry's Experience Music Project. These have all been scanned from original slides or drawn from documents in the public domain. Citiscope - Each week Citiscope's editors select an important innovation or significant new direction -- one useful to other cities -- that's being undertaken in a city somewhere around the world. The topics range from "green" energy grids to slum upgrading, accessible transit to sustainable water systems. City Journal - Urban-policy magazine. City Journal offers a stimulating mix of hard-headed practicality and cutting-edge theory, with articles on everything from school financing, policing strategy, and welfare policy to urban architecture, family policy, and the latest theorizing emanating from the law schools, the charitable foundations, even the schools of public health. City of London Churches - Photo gallary, overview, links to additional resources. City Sites - An inter- and multi-disciplinary study of the iconography, spatial forms and visual and literary cultures of New York and Chicago in the period 1870s to 1930s. CityLab - Original reporting, sharp analysis, and visual storytelling, CityLab informs and inspires the people who are creating the cities of the future-and those who want to live there. From The Atlantic. Congress for the New Urbanism (CNU) - New Urbanists aim to reform all aspects of real estate development. Their work affects regional and local plans. They are involved in new development, urban retrofits, and suburban infill. In all cases, New Urbanist neighborhoods are walkable, and contain a diverse range of housing and jobs. New Urbanists support regional planning for open space, appropriate architecture and planning, and the balanced development of jobs and housing. CNU is the leading organization promoting walkable, neighborhood-based development as an alternative to sprawl. Members are the life of the organization - they are the planners, developers, architects, engineers, public officials, investors, and community activists who create and influence our built environment, transforming growth patterns from the inside out. Whether it's bringing restorative plans to hurricane-battered communities in the Gulf Coast, turning dying malls into vibrant mixed-use neighborhoods, or reconnecting isolated public housing projects to the surrounding fabric, new urbanists are providing leadership in community building. Contract - Written for interior designers, architects and contract furniture dealers who design interior spaces and specify furnishings and building products for their commercial and institutional clients. Editorial features include design installations, product introductions, business and technology issues, trends and news of industry events and people. Critical Planning - UCLA urban planning journal. Cyburbia - Urban planning portal. Danish Architecture Center - Develops and communicates knowledge about architecture and urban and landscape development through exhibitions, guided tours and debates. Also see DAC and Cities. Decopix - Art deco architecture site. Deep Ocean Technology - Constructing underwater hotels. See these articles in Arch Daily and Green Prophet concerning underwater otel planned for Dubai. Design Museum - London museum of design, fashion and architecture. designboom - Digital architecture and design magazine. Detroit Blight Removal Task Force - In September 2013, the Obama Administration convened the Detroit Blight Removal Task Force to develop a detailed implementation plan to remove every blighted structure and clear every blighted vacant lot in the City of Detroit as quickly as possible using an environmentally-conscious approach. The three appointed chairpersons (Dan Gilbert, Glenda Price and Linda Smith) led a team of experts from the city, state and federal government, public and private sectors and the foundation community to collect data and create a set of recommendations. Their findings and recommendations were shared with Detroit Mayor Mike Duggan, Emergency Financial Manager Kevyn Orr and Obama Administration representatives on May 27, 2014. Dezeen - A carefully edited selection of the best architecture, design and interiors projects from around the world. Dwell Magazine - Home, shelter, domestic design. 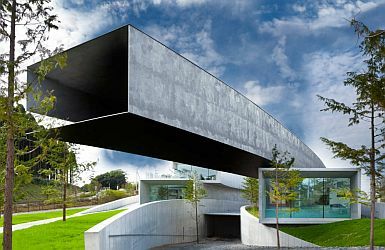 E-architect - Architecture building news, events, competitions, photos, jobs, awards and products. El Croquis - Presents important designs and works of architecture in bimonthly monographs analyzing the work of architects on the international scene. Emporis - Database listing over 20,000 firms involved in the construction or management of buildings. Additionally, more than 100,000 new photos are published in the Emporis Image Database every year allowing users to get a picture of places they have never been or to explore their own cities in depth. The goal of Emporis is to get accurate information on all buildings with at least 12 floors worldwide. The Emporis Skyscraper Award is a prize for high-rise architecture. It is awarded annually to new buildings at least 100 meters in height that show outstanding architectural design and functionality. English Heritage - From the first traces of civilisation to the most significant buildings of the 20th century, historic English buildings and landscapes. Esto - Images of architecture and the built environment. Eve Mosher - An artist and interventionist living and working in New York City. Her works use investigations of the landscape as starting points for audience exploration of urban issues. See related HighWaterLine, a 2007 public artwork on the New York city waterfront that created a visual and local understanding of the affects of climate change. Fight for the Soul of the Cities - An international vision for urban organizing focusing on Los Angeles, and from there, to the major cities of the U.S. in solidarity with the cities and people of the Third World. It is the product of 24 years of organizing by the Labor/Community Strategy Center, 20 years of work by its Bus Riders Union, and seven years of work by its Community Rights Campaign. Foundation Le Corbusier - Devoting all its resources to the conservation, knowledge and dissemination of Le Corbusier's work. Frank Lloyd Wright Preservation Trust Digital Image Collection - Documents the architecture, design, and influence of Frank Lloyd Wright's Prairie style of architecture formulated in the twenty years Wright spent working in the Chicago area. Gehl Institute - Works to transform the way cities are shaped by making public life an intentional driver for design, policy, and governance. Glass Steel and Stone - Pictures and information about the world's great architecture, skyscrapers, buildings, and other landmarks. Google Indoor Maps - View and navigate floor plans of several commercial locations such as airports, department stores, malls, and more within Google Maps. Graduate School of Architecture, Planning and Preservation, Columbia University - The fourth oldest architecture school in America, Columbia was established in 1881 by William R. Ware. Concentratioins in Architecture, Historic Preservation, Urban Planning, Urban Design and Real Estate Development. Great Buildings Collection - A gateway to architecture around the world and across history documents a thousand buildings and hundreds of leading architects, with 3D models, photographic images and architectural drawings, commentaries, bibliographies, web links, and more, for famous designers and structures of all kinds. Also see Search GreatBuildings.com. Greene & Greene Virtual Archives - More than 4,000 images of works by architects and designers Charles Sumner Greene and Henry Mather Greene, who "are widely considered to have brought high-art aesthetics and exquisite craftsmanship to the American Arts and Crafts Movement in the early part of the 20th century" and who did much of their work in southern California. Includes a biography, image database, and links to related material. Hosted by the University of Southern California (USC). Harvard Design Magazine - Architecture, landscape architecture, urban design and planning. Heritage Preservation Services, National Park Service - Helps U.S. citizens and communities identify, evaluate, protect and preserve historic properties for future generations. Hidden Architecture - Attempts to recover any kind of building, project, thought or theory of interest. High Line - The High Line is a public park built on an historic freight rail line elevated above the streets on Manhattan's West Side. It is owned by the City of New York, and maintained and operated by Friends of the High Line. It is now the nonprofit conservancy working with the New York City Department of Parks & Recreation to make sure the High Line is maintained as an extraordinary public space for all visitors to enjoy. Home Energy - Provides information about energy conservation for people who work on homes and for those who live in them. Housing You Matters - A broad coalition working together to find solutions for making homes at all price points more economically feasible to develop. Information Architecture Library - A selection of resources related to the field of information architecture. The collection includes articles, books, blogs, and more. A public service of the Asilomar Institute for Information Architecture. Inhabitat - A weblog devoted to the future of design, tracking the innovations in technology, practices and materials that are pushing architecture and home design towards a smarter and more sustainable future. Interboro - Brooklyn-based firm offering inventive and inclusive architecture, urban design, and planning services. International Architecture Database - Includes over 10,000 built and unrealized projects from various architects and planners. The architecture of the 20th century is the main theme of this database. It's possible to look for a special project via an architect, town or keyword with the indices or by using a query form. For most entries you get the name, address, keywords and information about further literature. Some entries include images, comments, links to other Websites or internal links. International Archive of Women in Architecture (IAWA) - Documents the history of women's involvement in architecture by collecting, preserving, storing, and making available to researchers the professional papers of women architects, landscape architects, designers, architectural historians and critics, and urban planners, and the records of women's architectural organizations, from around the world. Institute for Local Self-Reliance (ILSR) - Works with citizens, activists, policymakers and entrepreneurs to design systems, policies and enterprises that meet local or regional needs; to maximize human, material, natural and financial resources; and to ensure that the benefits of these systems and resources accrue to all local citizens. Islamic Architecture - Database of Islamic architectural styles, architects and regions showing 872 Islamic buildings and monuments. Japan Architecture + Urbanism (ja+u) - In collaboration with its Japanese-language titles, Shinkenchiku (New Architecture) and Jutakutokushu (Special Housing), ja+u offers an insider's look at the very latest Japanese architecture. The company shoots nearly all its own photography within Japan and maintains an extensive photographic archive. Japanese Architecture and Art Net Users System (JAANUS) - This dictionary contains approximately 8000 terms related to traditional Japanese architecture and gardens, painting, sculpture and art-historical iconography from approximately the 1st century A.D. to the end of the Edo period (1868). Terms from related fields such as lacquer, ceramics, textiles and metalwork have been included where they are considered to be of general interest and/or impact on the principal fields of architecture, painting and sculpture. These definitions are not translations from any one Japanese monolingual dictionary, but have been collated from a range of specialist sources and scholarly publications, and from direct observation and study. Many have never before been defined in English. Journal of the Society of Architectural Historians (JSAH) - A leading English-language journal on the history of the built environment. Each issue offers four to five scholarly articles on topics from all periods of history and all parts of the world, reviews of recent books, exhibitions, films, and other media, as well as a variety of editorials and opinion pieces designed to place the discipline of architectural history within a larger intellectual context. Hearst Castle - William Randolph Hearst's "castle" is probably Morgan's most well-known projects and certainly the most opulent of the residences she designed. Index of Buildings by Julia Morgan - An excellent resource for photographs of Morgan-designed buildings. Julia Morgan Center for the Arts (Berkeley, CA) - Morgan designed this building in 1908 as the St. John's Presbyterian Church. It is now a thriving arts and performance organization. Julia Morgan Collection at Cal Poly San Luis Obispo - Cal Poly houses architectural drawings and plans, office records, photographs, correspondence, project files, student work, family correspondence, and personal papers from the estate of California architect Julia Morgan. Wyntoon at Great Buildings Online - Morgan designed Wyntoon, William Randolph Hearst's northern villa estate on 50,000 acres of forested land near Mount Shasta in Northern California. Kinder Institute for Urban Research - Research, policy analysis, and public outreach on issues facing Houston and other leading urban centers. LA River Revitalization Corporation - A nonprofit whose mission is to ensure the 51-mile Los Angeles River integrates design and infrastructure to bring people and nature together. Champions river-oriented policy and sustainable public spaces, while creating innovative models for community benefit and participation. Landmark Trust - An independent UK building preservation charity which was founded in 1965 to rescue worthwhile historic buildings from neglect, and then to restore and let them for holidays. The income from letting contributes to their upkeep. There are now 178 Landmarks spread across Britain, four in Italy and two in Vermont, USA. They include follies, forts, manor houses, mills, cottages, castles, gatehouses and towers. You can stay in any of these buildings. Leo Masuda Architectonic Research Office - In addition to information on the firm and its works, also see Japanese Architecture in Kyoto, and History of Western Architecture. LMN Architects - The firm was founded in 1979 by architects George Loschky, Judsen Marquardt, and John Nesholm. The partnership has grown to include Chris Eseman, Walt Niehoff, Mark Reddington, Rob Widmeyer, and George Shaw and has evolved into one of the largest firms in the Pacific Northwest. Los Angeles River Revitalization - Official City of Los Angeles site. Revitalization of the River is currently a joint effort among the City of Los Angeles, the County of Los Angeles, and the US Army Corps of Engineers. The Arts, Parks, Health, Aging and River Committee currently guides the City's revitalization efforts, and the City's River Project Office within the Bureau of Engineering is taking a lead role in the implementation process. The process is being coordinated with the County of Los Angeles through the development of a Memorandum of Understanding (MOU). The MOU addresses each agencies' respective responsibilities for maintenance, liability, security, and project implementation. Further, any changes to the physical configuration of the River's concrete channel will involve approval and potential funding support by the Federal government. The entire Los Angeles River runs 51 miles through urban Los Angeles (both through several cities and the County of Los Angeles). This project specifically focuses on a 32-mile stretch from Canoga Park through downtown Los Angeles. Loveland - Dedicated to putting America online parcel by parcel. Works with governments, neighborhood groups, development, and conservation projects to gather and present public information about properties (physical space and legal subdivisions) in clearer, more actionable ways. Lower Manhatten.info - Information about the area, its recovery,health and safety concerns, World Trade Center designs. Lower Manhattan Development Corporation - Created in the aftermath of September 11, 2001 by Governor Pataki and then-Mayor Giuliani to help plan and coordinate the rebuilding and revitalization of Lower Manhattan, defined as everything south of Houston Street. LSE Cities - An international centre at the London School of Economics and Political Science that carries out research, conferences, education and outreach activities in London and abroad. Its mission is to study how people and cities interact in a rapidly urbanising world, focussing on how the design of cities impacts on society, culture and the environment. Mapping America's Futures - Test possible scenarios for how the US population might change by 2020 and 2030. The results will change depending on whether you choose low, average, or high rates for future births, deaths, or migration. Master Architects List - A list of master architects from around the world and across history who are documented in the Great Buildings Online. MAXXI: National Museum of the XXI Century Arts (Rome, IT) - Hosts a permanent collection of visual arts, exhibitions and events: design, fashion, cinema and advertising will establish a dialogue with art and architecture. McDonough, William - McDonough is the founding principal of William McDonough + Partners, Architecture and Community Design, an internationally recognized design firm practicing ecologically, socially, and economically intelligent architecture and planning in the U.S. and abroad. He is also the cofounder and principal, with German chemist Michael Braungart, of McDonough Braungart Design Chemistry (MBDC), which employs a comprehensive cradle to cradle design protocol to chemical benchmarking, supply-chain integration, energy and materials assessment, clean-production qualification, and sustainability issue management and optimization. Metropolis Magazine - Monthly magazine examines contemporary life through the design disciplines (architecture, interior design, product design, graphic design, crafts, planning, and preservation). Metropolitan Institute at Virginia Tech (MI) - Conducts basic and applied research on national and international development patterns, focusing on key forces shaping metropolitan growth such as demographics, environment, technology, design, transportation, and governance. Miami Design Preservation League (MDPL) - Devoted to preserving, protecting, and promoting the cultural, social, economic, environmental and architectural integrity of the Miami Beach Architectural Historic District and all other areas of the City of Miami Beach where historic preservation is a concern. MIMOA - MIMOA is intended for anyone interested in modern architecture, design, culture, photography, cities, travelling, visiting buildings, knowing how to get there, whether the project is public and what the opening hours are. Shows modern architecture on a map with the address and all additional information you need to actually find and visit interiors, parks, public places, buildings and bridges. Mithun - Architectural firm, a leader in sustainable design and urbanism. Municipal Art Society of New York (MAS) - Fights for intelligent urban design, planning and preservation through education, dialogue and advocacy. nARCHITECTS - Principals Eric Bunge and Mimi Hoang founded nARCHITECTS in 1999 with the aim of addressing contemporary issues in architecture through conceptually driven, socially engaging and technologically innovative work. National Capital Planning Commission (NCPC) - Provides overall planning guidance for federal land and buildings in the National Capital Region, which includes the District of Columbia; Prince George's and Montgomery Counties in Maryland; and Arlington, Fairfax, Loudoun, and Prince William Counties in Virginia, including the cities and towns located within the geographic area bounded by these counties. National Center for Smart Growth Research and Education - Center for research and leadership training on Smart Growth and related land use issues nationally and internationally. National Coalition to Save Our Mall - Seeks to defend the National Mall against threats posed by recent and ongoing proposals - for new memorials, security barriers, service buildings and roads - that would encroach on the Mall's historical and cultural integrity, its open spaces and sweeping vistas, and its significance in American public life. Sponsors An Intitiative for National Mall Conservancy. New Urban Network - A resource for planners, developers, architects, builders, public officials and others who are interested in the creation of human-scale communities, walkable communities, smart growth. New Urbanism - Working towards restoration of existing urban centers and towns within coherent metropolitan regions, the reconfiguration of sprawling suburbs into communities of real neighborhoods and diverse districts, the conservation of natural environments, and the preservation of our built legacy. Also see New Urbanism News. New York Skyscrapers - A study of New York City's skyscrapers. Next City - A nonprofit organization with a mission to inspire social, economic and environmental change in cities by creating media and events around the world. Nowtopian - Economy, 'technology', public space, San Francisco past and present. Maintained by Chris Carlsson. New York Architecture - Maintained by Tom Fletcher. New York City Building Information System (BIS) - NYC Department of Buildings' database of licensee information, complaints, Department of Buildings (DOB) and Environmental Control Board (ECB) violations, boilers and property profile and construction application information. New York City Department of City Planning - Responsible for directing the development of the city by shaping its neighborhoods, waterfront, business districts and industrial lands. Next City - Provides daily online coverage of the leaders, policies and innovations driving progress in metropolitan regions across the world. Office for Metropolitan Architecture (OMA) - A Rotterdam-based firm practicing contemporary architecture, urbanism and cultural analysis. OMA is led by four partners - Rem Koolhaus, Ole Scheeren, Ellen van Loon and Joshua Ramus. Old House Journal - Provides practical content on the how-to of renovation, restoration, and preservation for homeowners and professionals. Content includes a complete guide to restoration products and services, active chat boards, old-house real estate ads, classified ads for old-house items, historic house plans, preservation how-to, links to leading restoration trade shows, and recent editorial from the magazine itself. Peter Marcuse's Blog - Critical planning and other thoughts. Plan of Chicago - The Plan of Chicago of 1909, more familiarly known as the Burnham Plan-after its principal author, architect and city planner Daniel H. Burnham-is one of the most noted documents in the history of city planning. This interpretive digital essay analyzes the Plan and its place in the evolution of Chicago's built environment. PLANetizen - A public-interest information exchange provided by Urban Insight for the urban planning, design and development community. plusMOOD (aka +MOOD) - An online design resource dedicated to everything relating to contemporary architecture, interior design, landscape design, products and all other aspects of design topics. It serves as an emissary for the design profession. Preservation Chicago - Protects and revitalizes Chicago's architecture, neighborhoods and urban spaces. Pritzker Architecture Prize - Information about the world's most prestigious architecture award and its laureates. Public Architecture - Identifying and solving practical problems of human interaction in the built environment. Acts as a catalyst for public discourse through education, advocacy, and the design of public spaces and amenities. Public Green - Public Green poses questions about ownership of land, and suggests the transfer of property from private to public use. Viewers are asked to rethink their local landscape, and to physically transform their environment. Through tactics of information distribution along existing transportation networks, the viewer becomes an agent of mobility and change. The information in the Public Green posters can be used geographically, to find parks locally or near daily commutes; or as a basis for community advocacy. Maps can be used for wayfinding or political means- this project suggests both functions. Red House - The Red House, situated in the heart of Bexley [UK], and designed for William Morris by his architect friend Philip Webb in 1859, is a seminal Arts and Crafts building. Also see Friends of Red House. Robert Harvey Oshatz Architect - Organic architecture, planning, interior design and construction management services for developers and individual clients. Rowan and Williams - Architectural frirm in New York that has garnered international attention for their work on hotels, restaurants, retail spaces, homes, and product design. Credited with reinventing the world of hospitality through the boutique hotel, Roman and Williams is known for their work on such projects as The Ace Hotel New York, The Boom Boom Room at the Standard Highline, and Facebook. Royal Institute of British Architects (RIBA) - A member organisation, with 30,000 members, headed by president Paul Hyett, and with an executive of 170 staff at the HQ in central London and in a dozen regional offices. Sacred Sites - Explore sacred sites, ancient wonders, and religious places around the world. The Sacred Destinations Travel Guide is an ecumenical guide to more than 1,100 sacred sites, holy places, religious buildings, religious artifacts, and pilgrimage destinations in 55 countries around the world. Also see Photo Galleries and Sacred Destinations World Map indexes. San Francisco Cityscape - Online journal of SF Bay Area urban design. Sapling: Architecture, Planning & Landscape Information Gateway - A cross-disciplinary links directory with over 1,100 reviewed links to websites, books and news stories, organised thematically under Architecture, Arts and Culture, Construction, Heritage, Housing, Landscape, Planning, Regeneration, Sustainability, Transport, and Online Library Information Resources. Save Britain's Heritage (SAVE) - Through press releases, lightening leaflets, reports, books and exhibitions, SAVE has championed the cause of decaying country houses, redundant churches and chapels, disused mills and warehouses, blighted streets and neighbourhoods, cottages and town halls, railway stations, hospitals, military buildings and asylums in the UK since 1975. Serra, Richard (Artsy) - An American minimalist sculptor and video artist known for working with large scale assemblies of sheet metal. Also see Wikipedia backgrounder and Video Data Bank page. Shelterforce Online - Shelterforce is the nation's oldest continually-published housing and community development magazine. For over two decades, Shelterforce has been a primary forum for organizers, activists, and advocates in the affordable housing and neighborhood revitalization movements. SkyscraperCity - News, photos and discussions on skyscrapers, skylines, cities, architecture and urbanity. Society of Architectural Historians (SAH) - Promotes the study, interpretation, and conservation of architecture, design, landscapes, and urbanism worldwide. SAH serves a network of local, national, and international institutions and individuals who, by profession or interest, focus on the history of the built environment and its role in shaping contemporary life. Studio Gang - Founded by Jeanne Gang and conceived as a collective of architects, designers, and thinkers, the studio acts as a lab for testing ideas on varying scales: from cities to environments to individual buildings' unique material properties. The firm's provocative and alluring architecture is exemplified by such recent projects as the Aqua Tower (the 2009 Emporis Skyscraper of the Year), Columbia College Chicago's Media Production Center (a cutting-edge film production and teaching facility), and the Nature Boardwalk at Lincoln Park Zoo (an educational pavilion and landscape that is quickly becoming a new Chicago landmark). T.R. Hamzah & Yeang - Architects and planners of ecologically-responsive large buildings and sites. Technical Preservation Services - Guides to caring for historic buildings. The Cultural Landscape Foundation (TCLF) - Provides people with the ability to see, understand and value landscape architecture and its practitioners, in the way many people have learned to do with buildings and their designers. Through its web site, lectures, outreach and publishing, TCLF broadens support for cultural landscapes, helping to safeguard them for future generations. theArchitectureRoom - News of architecture competitions, prizes and tenders; UK and USA architects jobs and employment resources; books and magazines. Toward Sustainable Critical Infrastructure Systems: Framing the Challenges - Large segments and components of the United States's critical infrastructure systems are now 50 to 100 years old, and their performance and condition are deteriorating. Improvements are clearly necessary. However, approaching infrastructure renewal by continuing to use the same processes, practices, technologies, and materials that were developed in the 20th century will likely yield the same results: increasing instances of service disruptions, higher operating and repair costs, and the possibility of catastrophic, cascading failures. If the nation is to meet some of the important challenges of the 21st century, a new paradigm for the renewal of critical infrastructure systems is needed. This book discusses the essential components of this new paradigm, and outlines a framework to ensure that ongoing activities, knowledge, and technologies can be aligned and leveraged to help meet multiple national objectives. Unified Vision: The Architecture and Design of the Prairie School - Unified Vision tells the story of the Prairie School through the collection of The Minneapolis Institute of Arts, which includes a large group of furniture and other objects from Prairie School structures in Minnesota, Illinois, and Iowa. Featured architects include William Gray Purcell, George Grant Elmslie, Frank Lloyd Wright, and George Washington Maher. In addition, the collection includes one important Prairie School home, the Purcell-Cutts house, designed in 1913 by Purcell and Elmslie. UNStudio - Founded in 1988 by Ben van Berkel and Caroline Bos. An international architectural design network with three full-service international offices in Amsterdam, Hong Kong and Shanghai. Specializes in architecture, interior architecture, product design, urban development and infrastructural projects. Urban Land Institute (ULI) - ULI initiates research that anticipates emerging land use trends and issues, proposing creative solutions based on that research. Urban Omnibus - Based in New York City, Urban Omnibus is The Architectural League’s online publication dedicated to observing, understanding, and shaping the city. Urban Planning: 1794-1918 - Primary source material for the study of how urban planning developed up to the end of World War I. Urban Plans Collection - A database of reports and plans for urban and rural areas from all provinces of Canada dating from the late 1950's to the present time. Urbanophile - Aaron M. Renn, urban affairs analyst, maintains this blog. Venice Biennale of Architecture - The architecture section of the Venice Biennale. As well as addressing the academic side of architecture, the Biennale is an occasion where big-name architects and designers can showcase new projects, arranged in different pavilions, each with different themes. The Biennale is currently held in the Biennale Gardens. Venturi, Scott Brown and Associates - Official site. Also see Great Buildings backgrounder to architect Robert Venturi. Vernacular Language North (VLN) - A research effort that promotes informed appreciation for the history of the San Francisco Bay Region and Northern California through the study of its built environment. It specifically deals with the origins, significance, and influence of Bay Area Tradition architecture and public art, as evidenced by the work of its leading architects, engineers, designers, artists, craftsmen, journeymen, and patrons. Wallpaper - Consumer zine for urban modernists and global navigators covering architecture, interior design, industrial design, entertainment, fashion, and travel. Waterstudio - Specialized in architecture, urban planning and research related to living, working and recreation on water. Led by Koen Olthuis. Werner Sobek Engineering and Design - "The architecture of our own time and the future must exhibit a radically different, viz. positive, attitude to the natural environment and its users and to its inherent technology." Founded in 1992, the studio now has more than 200 employees. They work on all types of buildings and materials. Special emphasis lies on lightweight load-bearing structures, highrise buildings and transparent facade systems. WilkinsonEyre - Project highlights include the Guangzhou International Finance Center – one of the tallest buildings in the world, the giant, cooled conservatories for Singapore's Gardens by the Bay, the new Mary Rose Museum in Portsmouth, the refurbishment of the New Bodleian Library for the University of Oxford, the acclaimed temporary structure of the London 2012 Olympic Games Basketball Arena, and the the refurbishment of the iconic Grade II listed Battersea Power Station. Women Architects - Julia Morgan, Denise Scott Brown, Venturi Scott Brown, Susana Torre, Gae Aulenti, Rebecca Binder, Spear, Laurinda, M. J. Long, Amy Weinstein, Merrill Elam and more. Woodbury University School of Architecture - A network of strategically sited hubs scattered within and reaching out of the complex megalopolis of Southern California. World Trade Center Site Memorial Competition - The Lower Manhattan Development Corporation (LMDC) administered the Competition. See all finalists. See finalist: Reflecting Abscence. Zaha Hadid Architects - International architecture and design firm founded by Zaha Hadid, with its main office situated in Clerkenwell, London. The MAXXI: National Museum of 21st Century Arts in Rome, Italy; the BMW Central Building in Leipzig, Germany and the Phaeno Science Center in Wolfsburg, Germany are excellent demonstrations of Hadid's quest for complex, fluid space. This webpage last updated on Tuesday, December 12, 2017 4:16 PM.